A stunning rare alba form of this easy-growing Latouria section of Dedrobiums, found from New Guinea to Australia. 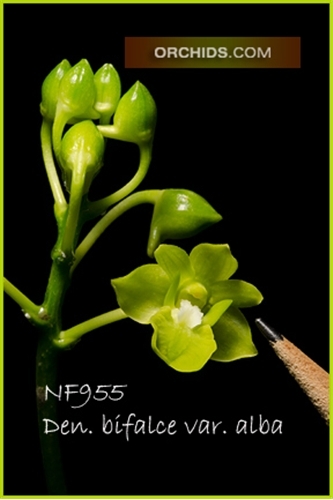 This species can carry up to 12 long-lasting 1.5” flowers on erect inflorescences, often lasting up to 3 months, all on a compact grower for a Latouria type. A great species to grow with other higher light orchids like Cattleyas and Oncidiums. Keep it on the dry side during the winter months for best growth and flowering. Very Highly Recommended !